If you have an exotic, vintage, or expensive car, enclosed transport may be the best solution to ship your car. However, enclosed shipping is not just exclusive to luxury cars. If you want to eliminate nearly all risk of any unexpected dings, dents, or blemishes to your car, the safest option is enclosed auto transport. With these kinds of cars, you want someone who has experience and the know how to successfully transport your car safely, affordably, and on time. We ensure that with our enclosed shipping carriers, your car will be delivered in the same condition it was in before being shipped. What exactly is enclosed transport? 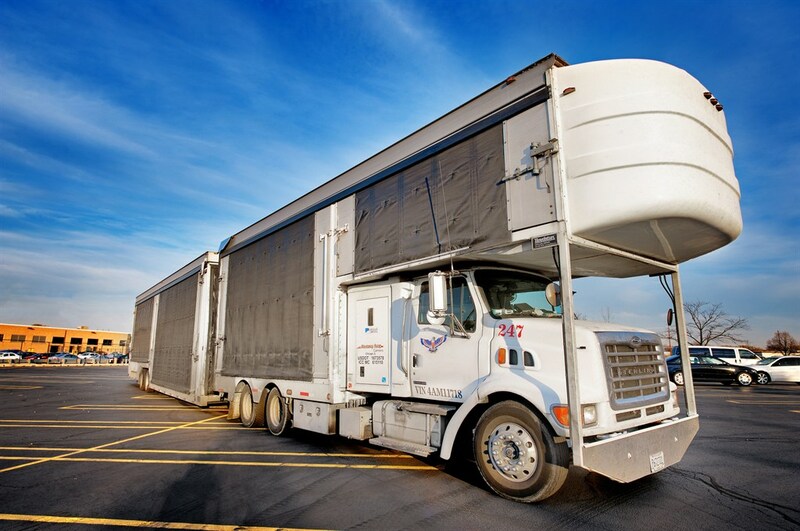 Enclosed transport consists of shipping your car within a large, enclosed trailer, typically containing one or two cars. This allows you to have the piece of mind to know that your car is being shipped in an environment where it will not face any aggressive elements such as rain, snow, or even ice. Also, enclosed transport is much more secure as whenever the truck must stop, it is locked in the trailer and not easily accessible. This prevents burglary and any other vandalism such as keying or graffiti. To maintain the physical state of your car further, many top-notch carriers will use soft-ties that will not have the chance of causing damage to your vehicles frame. In addition to using soft-ties, some companies will take another step and offer white glove service, putting down plastics on car mats and seats to ensure there are not dirtied or damaged during the moving process. Although enclosed transport is the right option if you’re focused on preventing any possible damage to your car during the shipping process, it can cost nearly 75-100% more than transporting your car with an open carrier. If you have a classic, exotic, or luxury car, enclosed transport may be worth the expensive price, as paint damage and dents can cost more to fix than the increased price of transport. It is important to extensively research the risks and benefits associated with open and enclosed transport, and then make an informed decision on which one is right for you and your car. Open transport involves transporting your car on an open trailer, exposed to the elements and other outside forces that could cause damage. This is the most common way to transport cars across the country and states; however, not the most safe way either. On these trailers, cars are susceptible to damage from rocks, sand, salt and tires – all common dangers encountered when driving on the freeway and through certain climates. Why ship enclosed with us? We offer the most advanced and secure technologies around, guaranteeing that you will be satisfied and at peace when transporting your car. To find out even more about enclosed transport, please give us a call or fill out our quote form!